Some brands and products just make you sit and up take notice! Skyn Iceland are one such brand – containing Icelandic Glacial Water, a rich source of essential minerals. 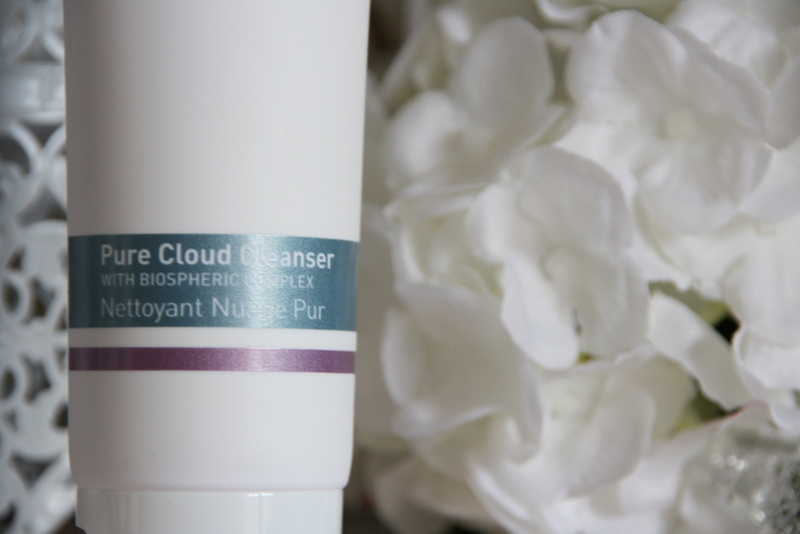 We’ve been trialling the Pure Cloud Cleanser, which is designed for dry and stressed skin and only have wonderful things to say about it! It’s JAM packed with gorgeous natural ingredients – from Vitamin E, shea butter, cocoa butter, meadowfoam seed oil (helps skin retain moisture) and jojoba seed extract to coconut and olive fruit oil extracts (to dissolve makeup), aloe extract, arctic cloudberry and finally cranberry seed oils! The packaging is pretty high end, smooth material on the tube- sealed product upon purchase, muslin cloth included. It looks very chic on a bathroom cabinet! Just superb – my skin felt super soft for the rest of the day after using this and I hadn’t even included the muslin cloth. I’ve tried a lot of cleaners – this one ticks all the boxes. Gorgeous packaging, natural sources, chemical free, cruelty free and effective. You also don’t need a lot for a good cleanse. The only downside is the price point – it won’t be for everyone as it’s £22.50 for 150ml but here’s the great news – you can buy it in Marks and Spencer so if you have any vouchers for the store you could get a decent amount off your purchase! Ask grandmas and aunties for birthday/xmas vouchers as once you have started your Skyn addiction there will be no quashing it!